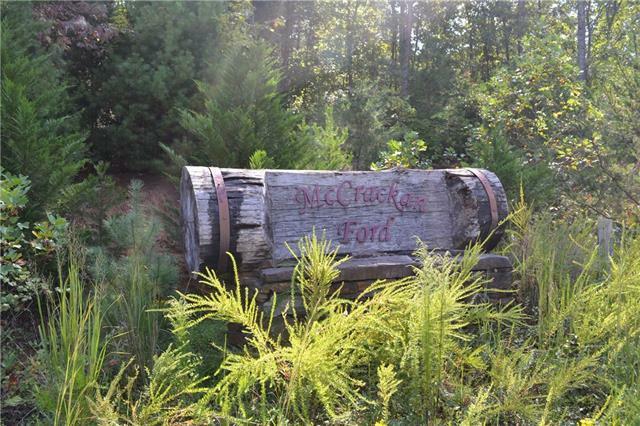 McCracken Ford, a thoughtfully planned community situated in the foothills of western North Carolina, offers privacy and convenience in a natural setting surrounded by mature forest. Located just minutes from vibrant downtown Morganton, pristine Lake James and its renowned State Park, Catawba Meadows Park and Greenway System and abundant hiking trails and waterfalls, its easy to see why this area is referred to as Natures Playground. Over an acre of dedicated green space is located in the heart of this beautiful neighborhood surrounded by 36 lots ranging in size from .50 to 1.18 acres. Offered by Mccombs & Hoke Real Estate. Copyright 2019 Carolina Multiple Listing Services. All rights reserved.